The Alberni Valley Bulldogs go for their third win in a row tonight as they host the Cowichan Valley Capitals at the Pound. 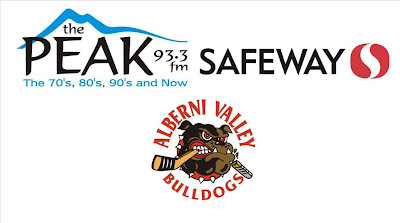 Get it all on Port Alberni Safeway Bulldogs Hockey on 93.3 The Peak FM with the pregame show getting underway at 6:45 and all the play-by-play at 7:00. Don't forget to bring that spare change for the "Heart of an Angel" campaign continuing for the remaining home games this month as the Dogs have teamed up with Angel Magnussen and the Variety Coin Drive!